Fuzzy systems and data mining are now an essential part of information technology and data management, with applications affecting every imaginable aspect of our daily lives. 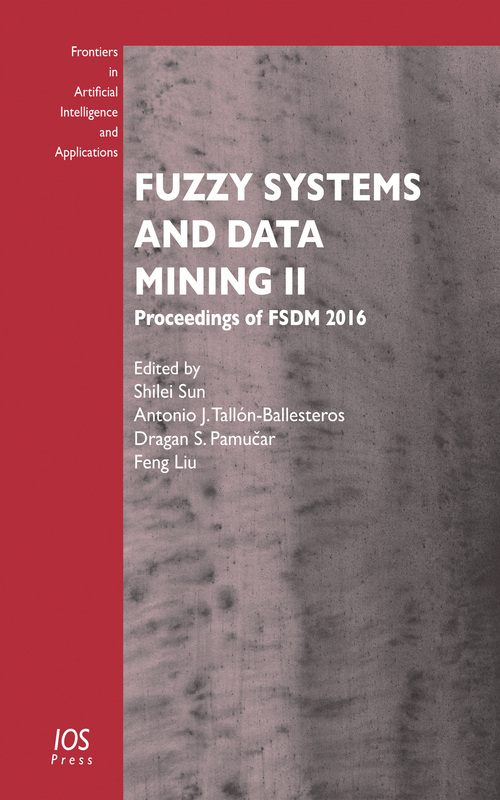 This book contains 81 selected papers from those accepted and presented at the 2nd international conference on Fuzzy Systems and Data Mining (FSDM2016), held in Macau, China, in December 2016. This annual conference focuses on 4 main groups of topics: fuzzy theory, algorithm and system; fuzzy applications; the interdisciplinary field of fuzzy logic and data mining; and data mining, and the event provided a forum where more than 100 qualified, high-level researchers and experts from over 20 countries, including 4 keynote speakers, gathered to create an important platform for researchers and engineers worldwide to engage in academic communication. All the papers collected here present original ideas, methods and results of general significance supported by clear reasoning and compelling evidence, and as such the book represents a valuable and wide ranging reference resource of interest to all those whose work involves fuzzy systems and data mining. Editors: Sun, S.L., Tallón-Ballesteros, A.J., Pamučar, D.S., Liu, F.